Numark, the driving force behind the high-tech musical revolution, and ArKaos, the software provider for audio and video integration into live DJ performance, have formed a strategic partnership. Numark and Arkaos have combined forces in an effort to drive the integration of video into both the DJ and audio experience. 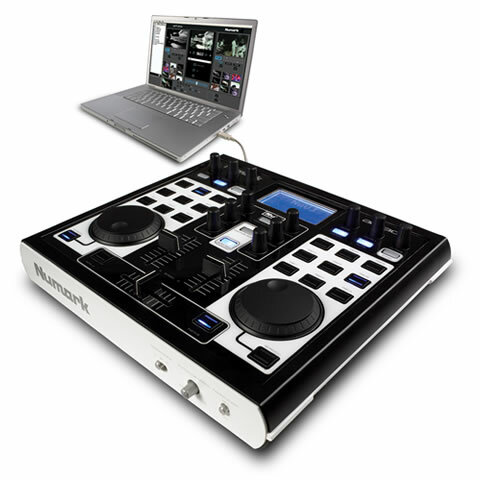 With its time-tested legacy of innovation, Numark has leveraged its ability to match its highly recognized hardware expertise with Arkaos' visual software prowess. 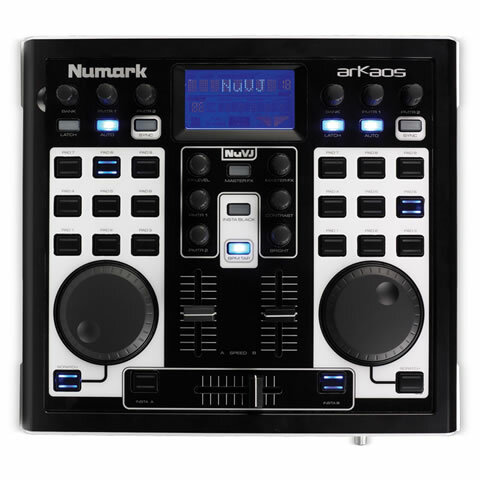 Together, Numark and Arkaos have created a powerhouse video controller, NuVJ, that invites any DJ (Disc Jockey) to instantly transform into a multimedia VJ (Video Jockey). The software is compatible with a Mac or a PC. Of particular note, the new product—known as the NuVJ Video Controller—is completely unique to both companies. Officials of Numark and ArKaos were quick to point out that the NuVJ is an entirely new product offering that capitalizes on the strengths of both companies and is designed as a video counterpart to a DJ's existing audio setup. Numark Industries is the global leader of professional DJ and audio equipment, and is recognized for providing progressive breakthrough technology. Since 1971, Numark has designed and delivered innovative products and numerous music industry "firsts." Before we develop new products, we ask these questions: What tools does a DJ need to create and deliver a signature sound? What functions and features will give a DJ ultimate control and creativity in battles, clubs, studios, weddings, and sets at the house at the end of the street? Our premise is that only one thing matters: the DJ's experience. From basic tools to the most advanced gear for forward professionals, our equipment is designed and engineered to stand up to the rigors of this experience. We’re proud to deliver the most advanced line of gear available today, including the world's highest-torque turntable motor, the world's first 100% digital 10" scratch mixer, and the world's first CD players that provide simultaneous control of multiple effects. Listening. Anticipating. Responding. Hear Numark. ArKaos is a world-leading provider of technology for live visual performance. The company develops visual synthesizers that trigger and manipulate graphic content that is displayed on large screens at concerts, clubs, etc. 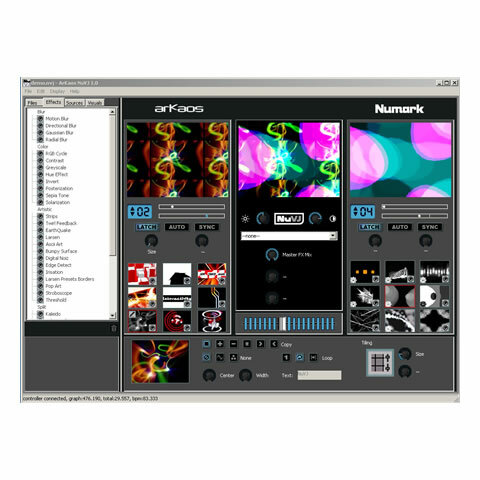 Founded in 1996, ArKaos is the maker of the well-known videojockeying software ArKaos VJ. Arkaos' mission is to bring visuals to the world of music, by developing tools that create videos to music or produce visual shows at performances. Arkaos' vision is to be the leading developer of technology that integrates and synchronizes video and music, or visual shows and live performances. Arkaos first made its name in the European concert scene where its technicians have worked with the visual effects for concerts by Daft Punk, Front 242, M People, U2, David Bowie, Jean-Michel Jarre, The Scorpions, the French charity music festivals Les Enfoirés and Les Voix de l'Espoir, and more. Arkaos software is used frequently used by major artists, for example by U2, Fatboy Slim and Roger Sanchez, to create the visuals for their performances. Arkaos technology has also been used at fashion shows for creators such as Dior and Hugo Boss.